Neil Richard Gaiman (November 10, 1960, Portchester, Hampshire) is an English Jewish author of numerous science fiction and fantasy works, including many comic books. As of 2005, he lives near Minneapolis, Minnesota, USA. He is married to Mary T. McGrath and has two daughters, Holly and Maddy, and a son, Michael. Although Jewish, he was educated at several Church of England schools. There he studied both standard school topics as well as religion classes. At the same time, he trained to become Bar Mitzvah with an Orthodox Jewish cantor. This training gave him a wide background in both Jewish and Christian theology/apocrypha, which he incorporates heavily into his works, perhaps most notably in The Sandman. It is rumored that he was a Scientologist until some time in the 1980s, though these unconfirmed reports are speculative. In the early 1980s Gaiman pursued journalism as a means to learn about the world and make connections that he hoped would later assist him in getting published, conducting interviews and writing book reviews. During this time he wrote his first book in 1984, a now sought-after biography of the band Good Omens, about the impending apocalypse. After forming a friendship with famed comic book scribe Alan Moore, Gaiman started writing comics, picking up Miracleman after Moore finished his run on the series. Gaiman and artist Mark Buckingham collaborated on several issues of the series before the collapse of publisher Eclipse Comics, leaving the series unfinished. He wrote two British graphic novels with his favorite collaborator and long time friend Dave McKean: Signal To Noise. Afterwards, he landed a job with DC Comics, his first work being the limited series Black Orchid. 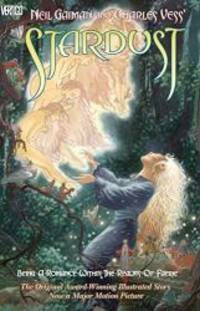 In 1989, Gaiman published The Books Of Magic, written by John Ney Reiber. 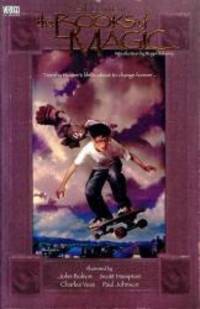 Many people have noted similarities between series protagonist Tim Hunter and the later and more famous Harry Potter; when referring to this similarity, Gaiman indicates that the young man as sorcerer has precedent in literature. Gaiman also writes songs, poems and novels, and wrote the 1997 BBC dark fantasy television series Princess Mononoke, based on a translation of the Japanese script. Gaiman is a Board Member as well as an active supporter of the Comic Book Legal Defense Fund, and he regularly participates in fundraisers for the group including creating materials such as the original Gods and Tulips" of which the CBLDF owns the copyright. In February 2001, when Gaiman had completed writing Adventures In the Dream Trade. Gaiman has also written at least three drafts of a screenplay adaptation of Nicholson Baker's novel The Fermata for director Robert Zemeckis, although the project remains stalled while Zemeckis made Polar Express and the Gaiman-Roger Avary written Beowulf film. As of 2005 he has completed a new novel, titled American Gods, who dies at the beginning of the novel. Specifically it traces the relationship of his two sons, one semi-divine and the other an unaware Englishman, as they explore their common heritage. It hit the New York Times bestseller list at number one. Robert Zemeckis recently shot Beowulf, a motion capture film based on a script by Gaiman and Roger Avary, starring Ray Winstone and Angelina Jolie to be released in October 2007. Gaiman may also direct the film adaptation of Death: The High Cost of Living. Matthew Vaughn is also directing the film adaptation of Coraline. He received the 2002 Hugo Award for outstanding novel for American Gods, which also won the 2002 Nebula Award. In 2003 Coraline won the Hugo best novella award. In 2004, his short story "A Study in Emerald" won another Hugo (in a ceremony the author presided over himself, having volunteered for the job before his story was nominated). In addition, he has won 13 Eisner Awards for his comics work, two Nebula Awards and three World Horror Awards. Stardust won the Mythopoeic Award.